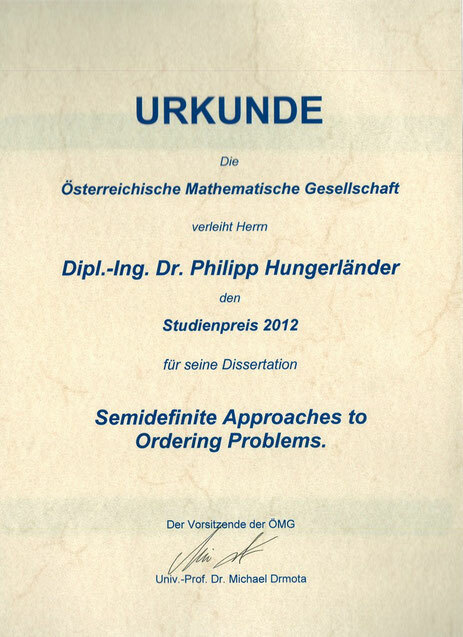 The winners are young Austrian mathematicians who have submitted a master thesis or a dissertation during the last two years. The nomination must be made by a mathematician that is currently engaged at an Austrian university or research institution. From the proposals submitted an evaluation committee selects the winner.